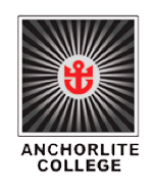 Over the years, Anchorlite College has become a household name amongst various communities, as it continues to grow from strength, setting standards, and paving the way for private education. Anchorlite Independent school, in the interim, has undergone several structural changes, creating direction and vision for the forth coming years. we are proud that we have aligned ourselves with GET and FET grades 8,9,10,11 and 12 School curriculum, and have successfully taken FET learning through the process of portfolio tasks, activities, continued assessments and final examinations. This Ad has been viewed 710 times.